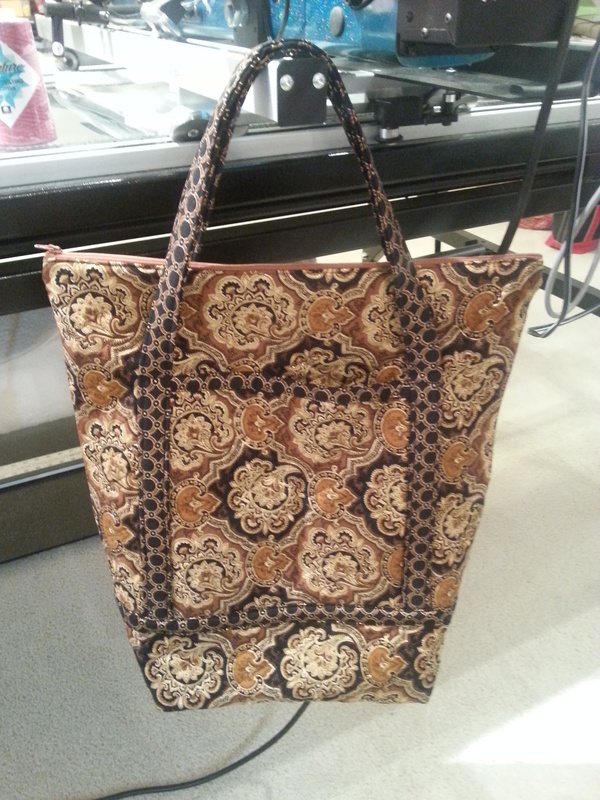 After making this tote bag, I realized it’s a bit too tall – don’t you think so, too? 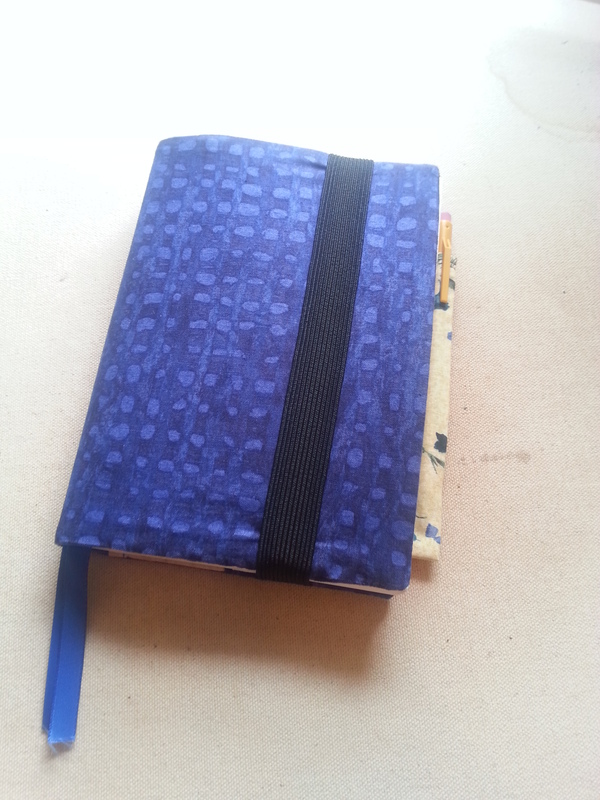 I’ve decided to cut off the bottom and restitch it to make it a more practical height. It’s nice to be able to adjust a pattern before it’s sewn, but it’s also nice to make adjustments after it’s sewn. I’ll let you know what it looks like when I’m done. 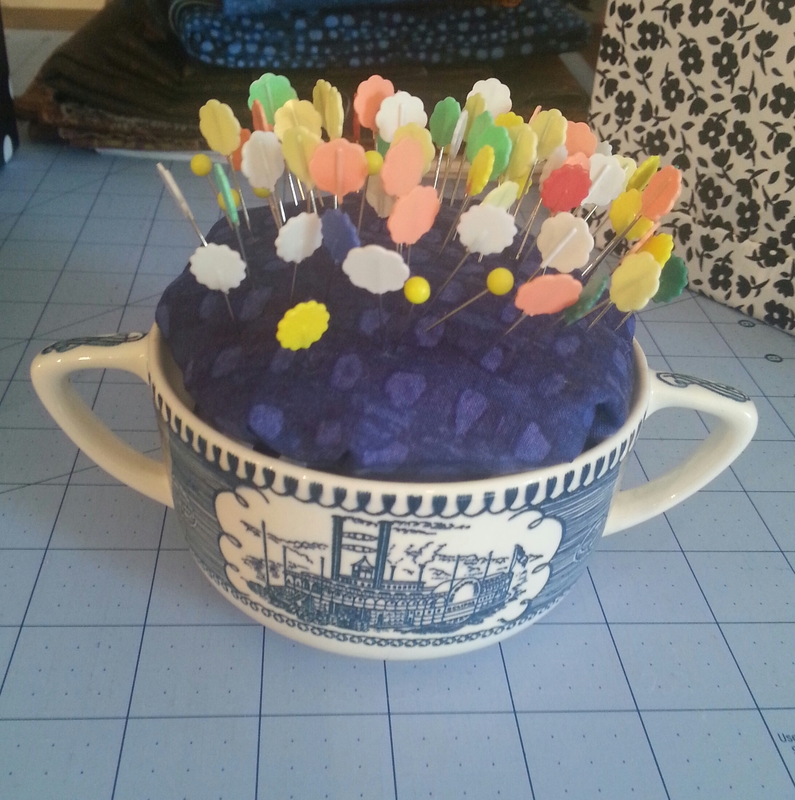 In between working on quilts I like to make fun little projects. Here’s what I’ve been making the past month or so. 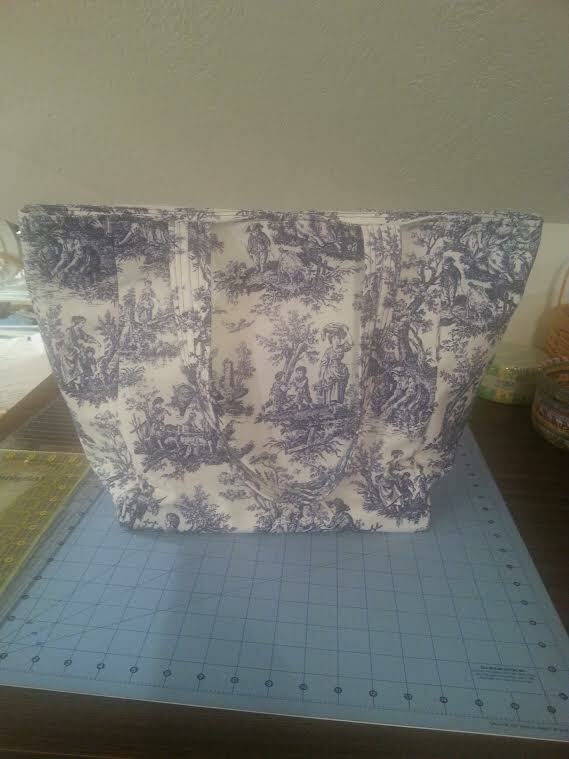 Perfect tote bag – and made from great fabric! 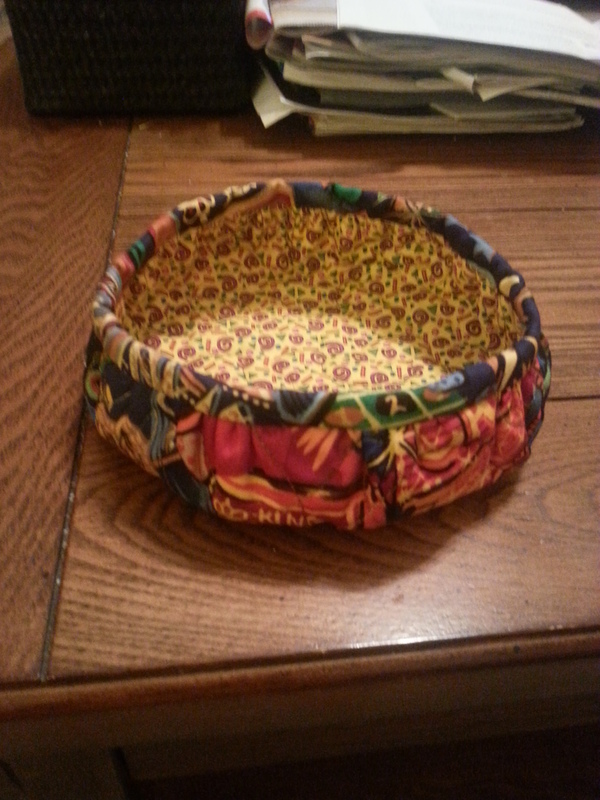 Gathered bowls – these are great for travel to catch all those lose things like keys, watch, earrings, change, chap stick, etc, plus they pack well and are machine washable. 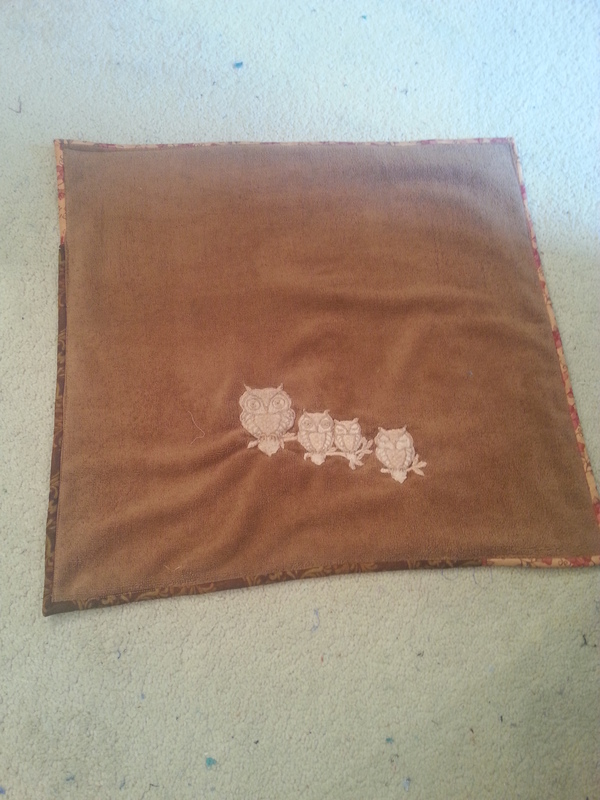 Recycle towel – this was an old towel (my grandmothers I think), it was in the rag bag for awhile, then I read in a quilt magazine that you can use left over binding to finish the edge of frayed towels then use them as a rug or bathmat (it’s double thickness). Works great! 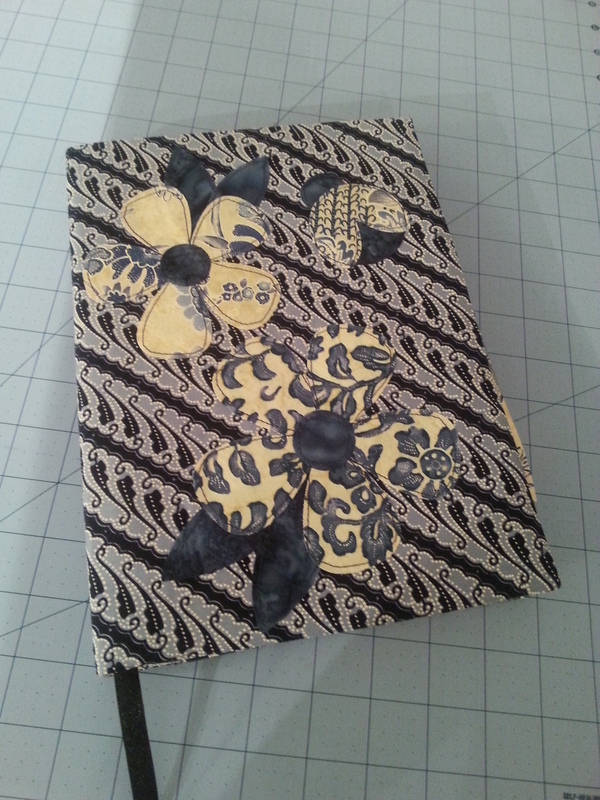 Quilting notebook cover – this is the little book I take with me to quilt shops, it has my favorite patterns and how much fabric is required. 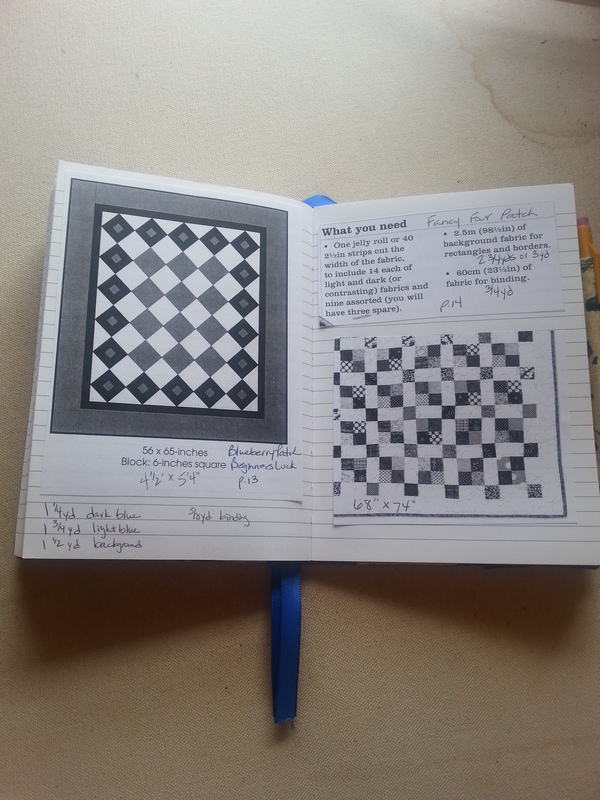 And it has all kinds of quilting notes in there. Comes in very handy. 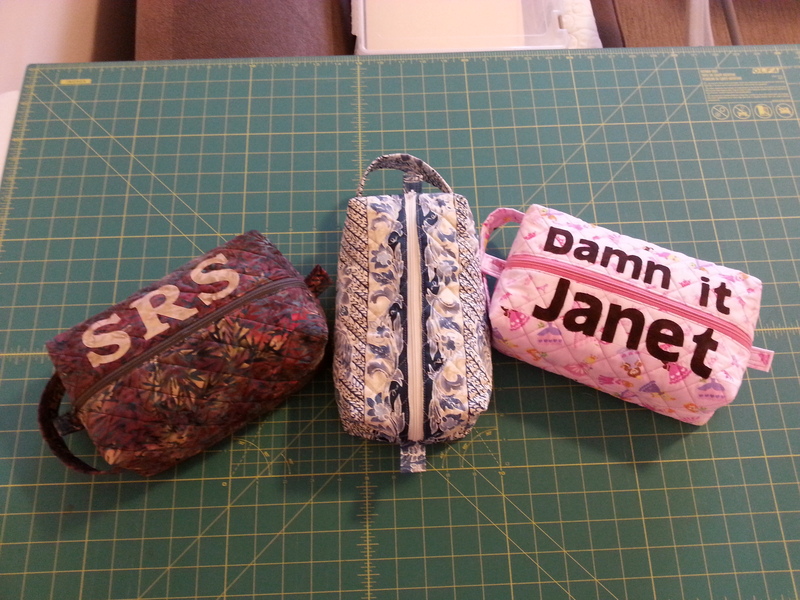 Zippered totes – I made these for Shelley and Janet at the summer quilting retreat. Janet’s quote is from Rocky Horror Picture Show and she requested it be on her tote. 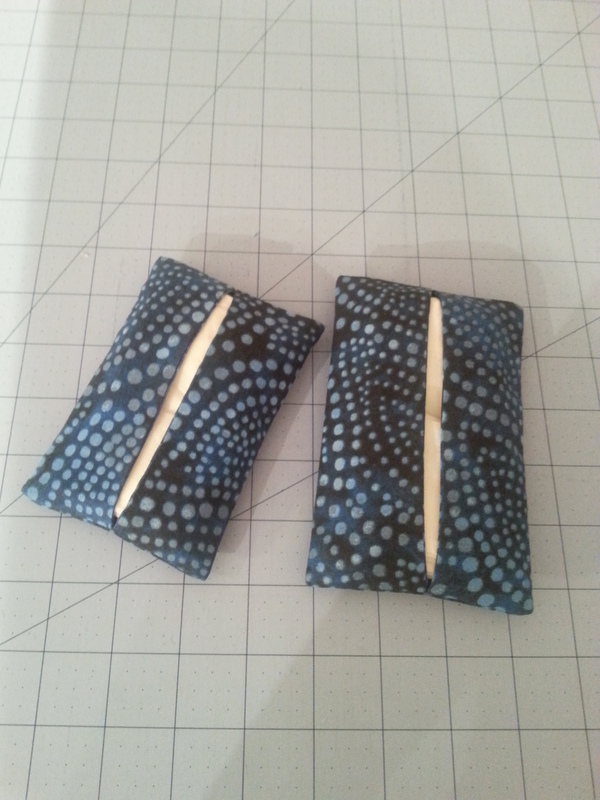 I hope these have inspired you to do some sewing, too! 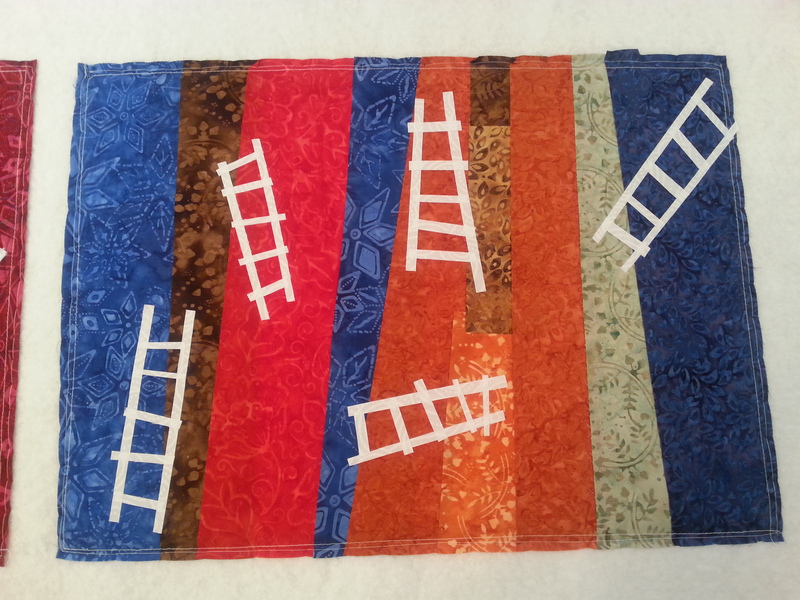 I’ve been sewing and quilting all summer long, but haven’t had a chance to post anything. 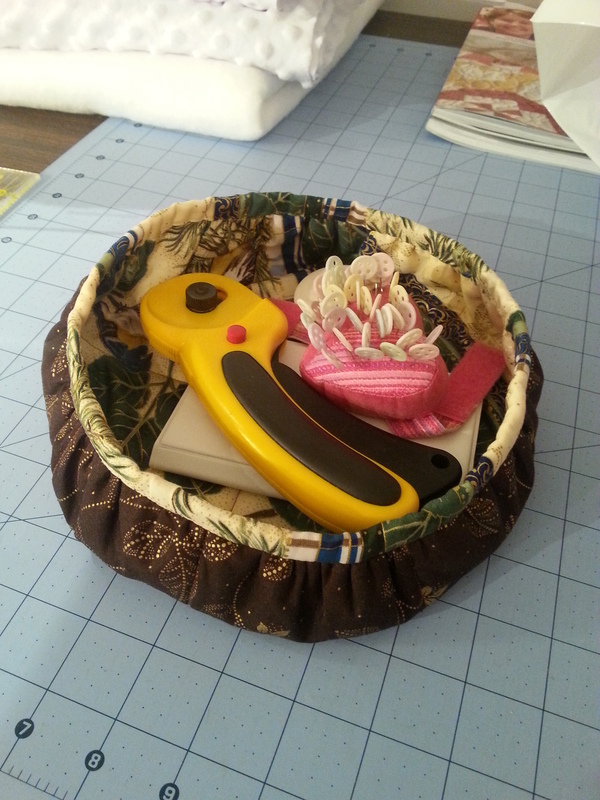 Now that sailing season has ended, I’ll catch up on some sewing projects I’ve completed. 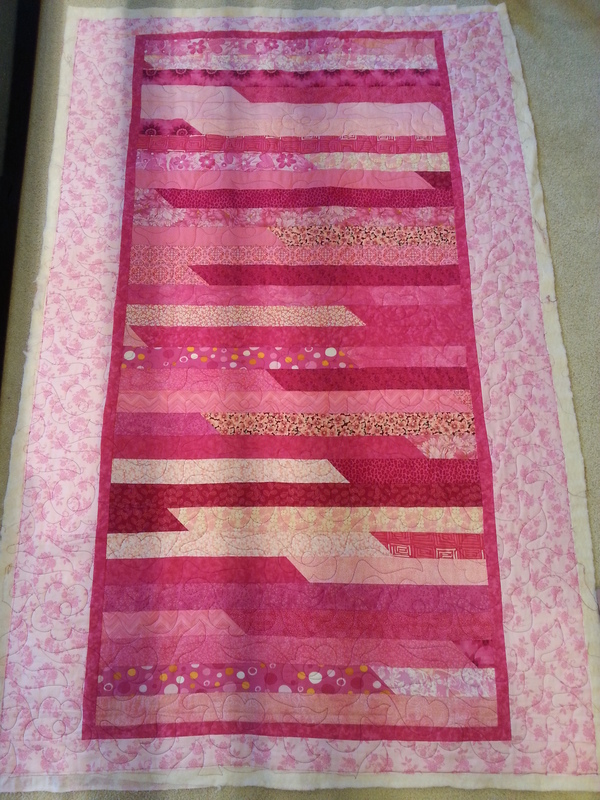 I quilted this pink quilt for my sister, Janet. It’s a gift for a neighbor girl. 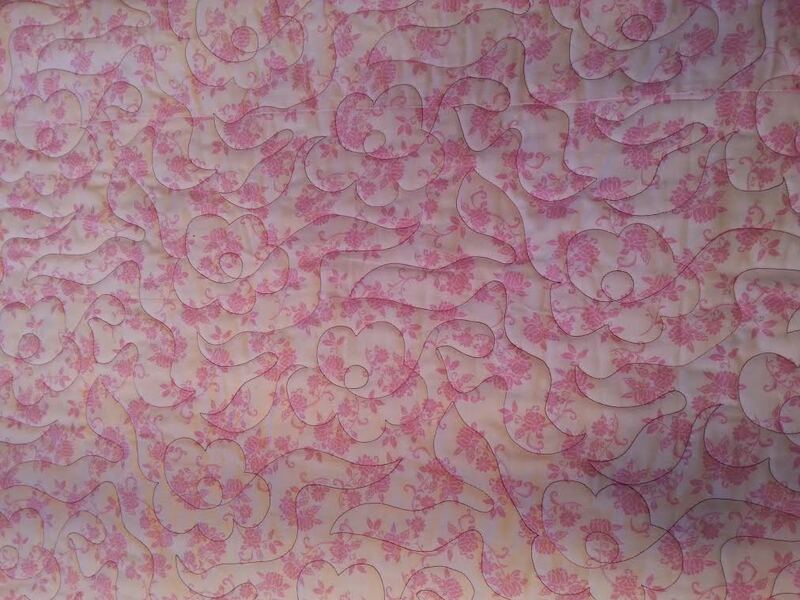 I like the flowery open quilting design. I’m sure that little girl will just love it! 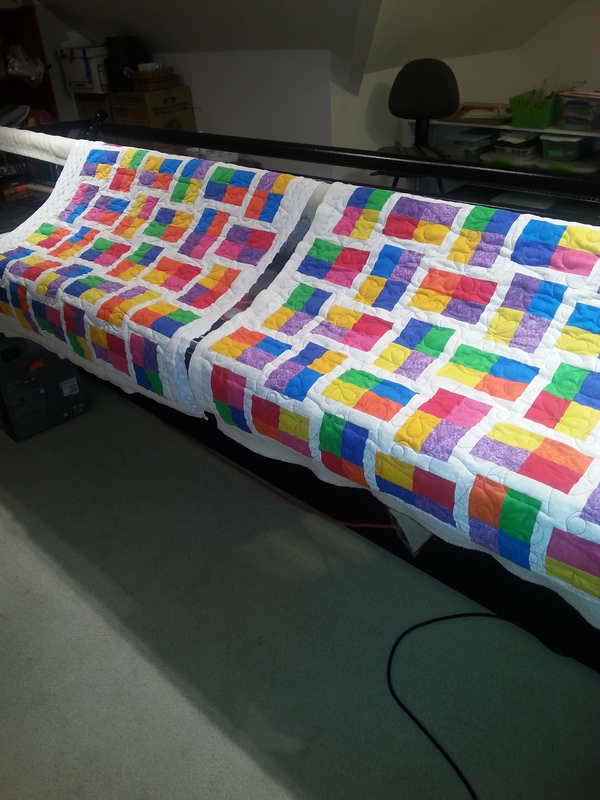 These baby quilts are for some friends of ours. 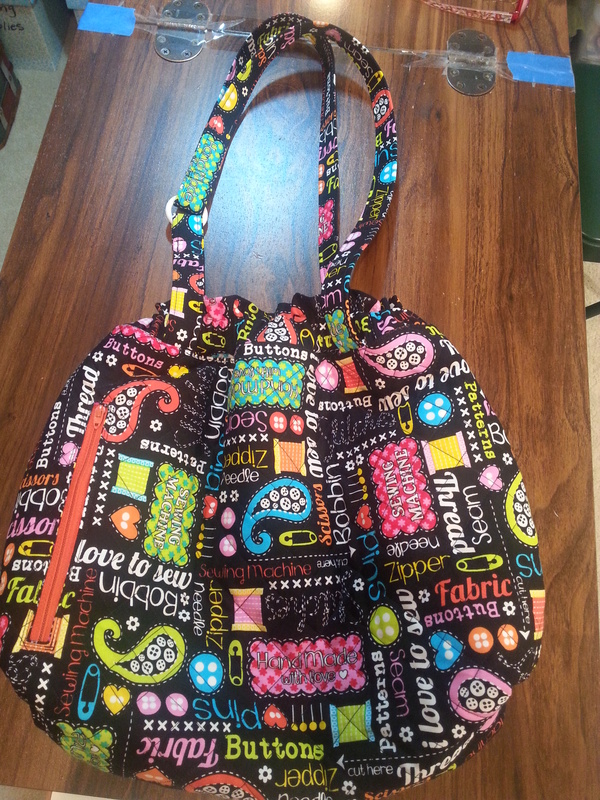 I love the bright colors and it has a soft minky fabric as the backing. 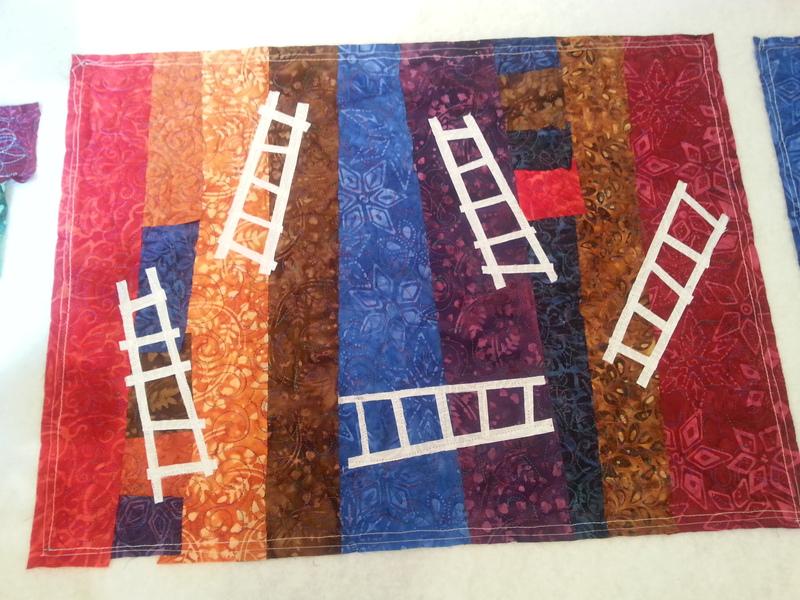 Once again I’m trying my hand at Art Quilts. They are the size of placemats. The ladders represent challenges in life, they can take you in different directions, some are easier to climb than others. Not sure that comes across clearly, so some day I’ll try it again. I probably won’t use them as placemats but maybe on a dresser or table top.